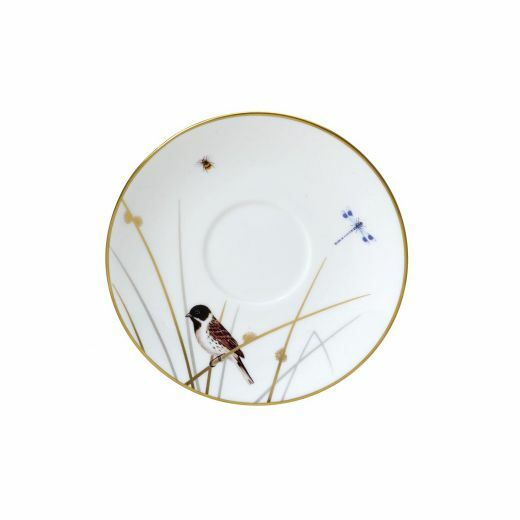 Bring the natural charm of the English countryside directly into your home with the Reed fine bone china tea saucer. 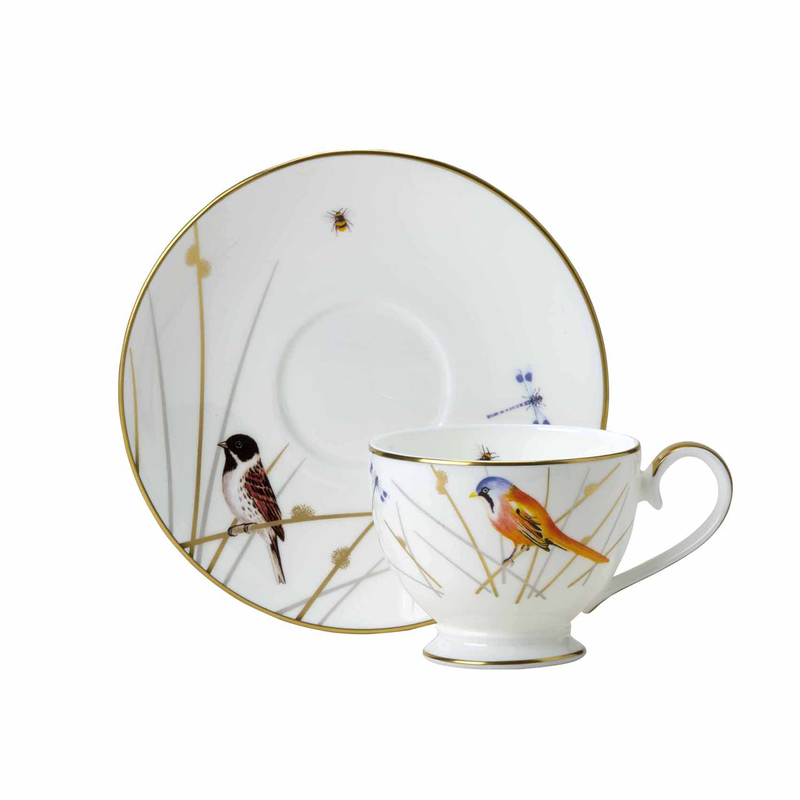 Each bone china tea saucer is styled with hand-painted illustrations of iconic wetland birds by our team of craftspeople in Stoke-on-Trent. 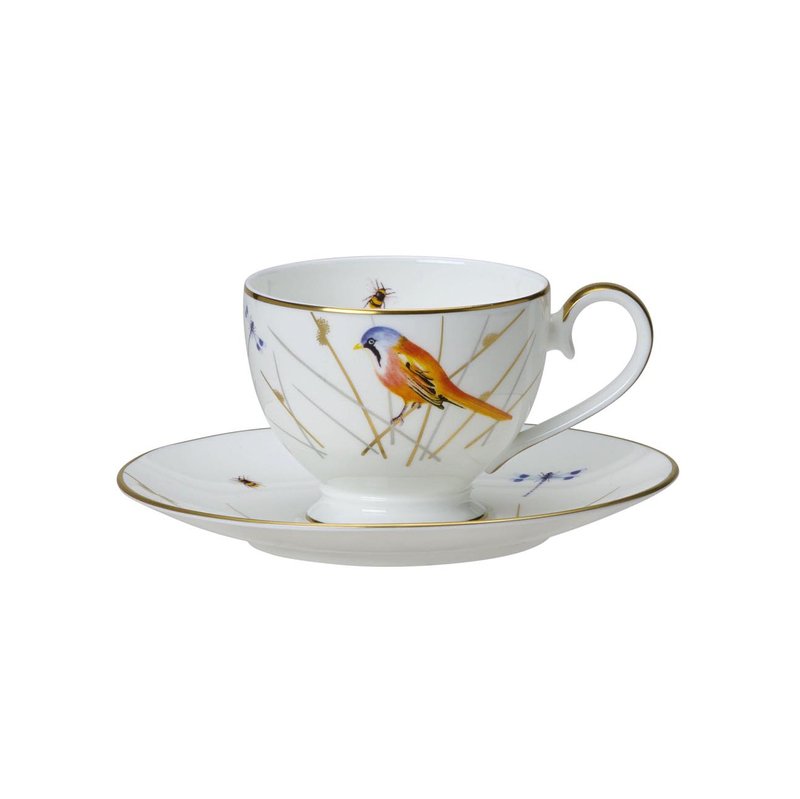 Bring the natural charm of the English countryside directly into your home with the Reed fine bone china tea saucer. Each bone china tea saucer is styled in Stoke-on-Trent with hand-painted illustrations of iconic wetland birds such as kingfishers, reed bunting and lapwings. Finally, 24-carat gold edging gives this fine bone china saucer a sense of refinement.